Get the Funk Out! : 9/3@9amPT thriller writer Lori Rader-Day on KUCI 88.9fm! 9/3@9amPT thriller writer Lori Rader-Day on KUCI 88.9fm! 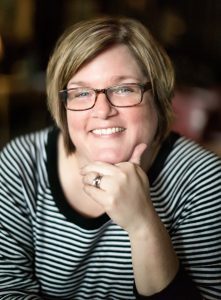 LISTEN to today's conversation with Lori Rader-Day! Lori Rader-Day is an Anthony Award winner and William Morrow/Harper Collins novelist whose frontlist title this summer hinges on a plot drive by the "dark sky" community. Essentially there are internationally protected areas where lights are off so that the stars can be seen and there is no "light pollution." Lori Rader-Day’s debut mystery, The Black Hour, won the 2015 Anthony Award for Best First Novel and was a finalist for the 2015 Mary Higgins Clark Award. Her second novel, Little Pretty Things, won the 2016 Mary Higgins Clark Award and was a nominee for the Anthony Award for Best Paperback Original. Little Pretty Things was named a 2015 “most arresting crime novel” by Kirkus Reviews and one of the top ten crime novels of the year by Booklist. Her third novel, The Day I Died, was an Indie Next Pick and is a nominee for the Mary Higgins Clark Award and the Barry Award. She lives in Chicago. Lori-Rader day is a thriller writer and not a scientist, but a dark sky preserve is her setting and she's spent time on them. She has some interesting insights in relationship to her own experiences, as well as speaking about her book. Dark Sky preserves--what are they and how did Lori find out about them? How has growing population and climate change reduced our access to Dark Sky? My firm began working with Lori at the beginning of her career with her debut release, "The Black Hour," in 2014 which won an Anthony Award for Best First Novel at the Bouchercon World Mystery Convention, and was named a finalist for the Mary Higgins Clark Award as well.